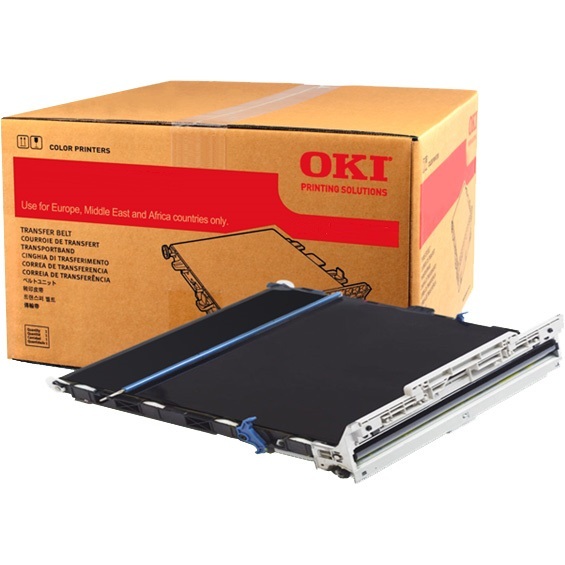 Create your own Okidata Oki C711 color toner pack / bundle with our flexible quantity discount pricing. Mix and match products so you are only purchasing what you need, but also maximizing your savings. Remanufactured Cyan Toner Cartridge with 11,500 page yield. Equivalent to Okidata part number: 44318603. Fits the following model(s): Okidata C711, Okidata C711n, Okidata C711dn, Okidata C711dtn. Remanufactured Magenta Toner Cartridge with 11,500 page yield. Equivalent to Okidata part number: 44318602. Fits the following model(s): Okidata C711, Okidata C711n, Okidata C711dn, Okidata C711dtn. Remanufactured Yellow Toner Cartridge with 11,500 page yield. Equivalent to Okidata part number: 44318601. Fits the following model(s): Okidata C711, Okidata C711n, Okidata C711dn, Okidata C711dtn. 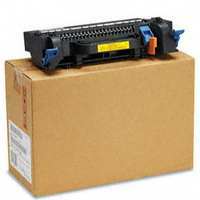 Remanufactured Black Toner Cartridge with 11,000 page yield. Equivalent to Okidata part number: 44318604. Fits the following model(s): Okidata C711, Okidata C711n, Okidata C711dn, Okidata C711dtn. 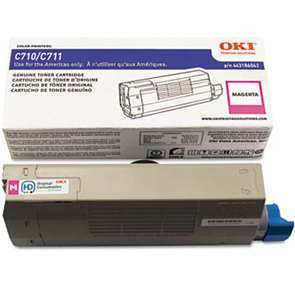 Buy our high quality compatible toner for Okidata Oki C711 with confidence. Join thousands of happy customers who have found our compatible products are equivalent in page yield and print quality. For our compatible products, we offer a 100% Satisfaction Guarantee allowing you to return products within 6 months if you are unsatisfied. 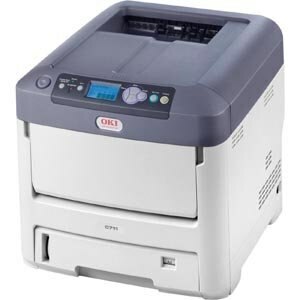 A small or medium office in need of a color laser printer with basic features and only a single purpose may want to take a look at the Okidata C711. This unit will provide the speed needed in a busy office, the quality required of professional documents and the durability to generate up to 100,000 prints every month. Full color documents print at a rate of 34 pages per minute while a maximum of 36 pages can be printed each minute using only black Okidata C711 toner. The first document will print out in as little as 9 seconds once the machine is warmed up. There are three variations of this model. The base model, referred to as the C711 or the C711n, offers networking capabilities and optional duplex printing. A duplexer is a standard feature on the C711dn, and the C711dtn throws in an additional input tray to nearly double the paper capacity of the base unit. USB and parallel ports are connection options for all three model variations. HD Color technology and high-grade Oki C711 toner can create a maximum resolution of 1200x600 dpi, which is sufficient for work environments. The cost per page will be kept fairly low by the high yields of the Okidata C711 toner cartridges. The cyan, magenta and yellow toners can yield up to 11,500 pages and the black printer toner can yield 11,000 pages. Replacement Oki C711 toner cartridges are readily available from a number of online vendors as well as directly from the manufacturer. The latter option will typically be more expensive, though. On the base model, there is one input paper tray that holds 530 sheets of standard paper and a 100-sheet multipurpose tray for various media types such as envelopes and labels. The unit can even print on banners up to 52 inches long. An additional 530-sheet tray is also available as an optional upgrade for the base model. It is a single-pass printer, meaning the paper passes through only one time and each color of Okidata C711 printer toner is distributed in succession, allowing for faster speeds. The memory can also be expanded from the built-in 256 MB up to 768 MB as needed. The processor is 533 MHz and there is a status LCD on the front accompanied by a simple control panel. The design is white with a gray top and the unit weighs just over 80 pounds. 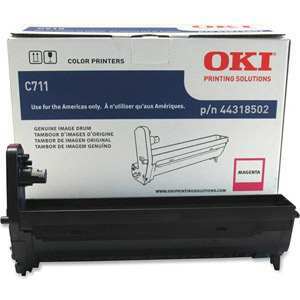 Offices that are in need of a single-purpose printer and require color capabilities will appreciate the Oki C711. This machine has some expandable features, versatile paper handling and connection options and the speed required for fast-paced environments.